Well… I still don’t know! Over the last 2 years I have been sharing various aspects of what I am doing right now to make money working from home. No one listens! I have to be honest its very frustrating. I see all of these people in pursuit of “financial independence”, “a community of like minded people to network with”, “a place where i can learn something with out spending an arm and a leg,” “a little extra income”, on my Facebook Page “Stay Home For Work” same name as my website. Wealthy Affiliate does all of these things for me. I have literally done all of these things except the final goal of financial independence, which is clearly in sight. Yes it really is! No really I am serious! I have posted pics of actual sales. I have posted pictures of crazy stuff/sensational, same response. Do you like to share with people things that you are way into? Think cats, mining for gold, justice, needs for senior citizens, children, cars, audio-visual, you name it. Do you want to able to do it for free? 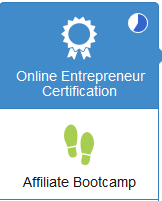 Think no credit card, you can create a free account, access 10 free lessons, host your own free website. Direct access (me and the Wealthy Affiliate community) to any assistance needed. Overview Of How it Really works! 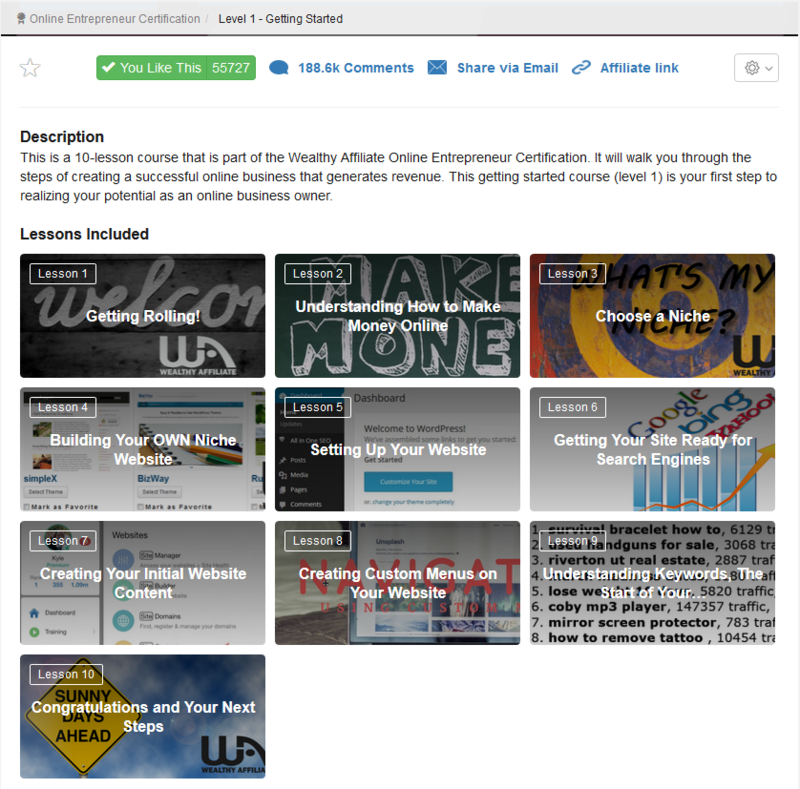 You create your account and can immediately access 10 lessons. By the end of the lesson 5 you will have your own website up and running. There is a full menu of help items, and a community of people ready to assist in live chat, or in the extensive help menus. What is the down side? What is the catch!? Is this really free? Yes, everything I have shown you is free. What isn’t free? “Premium Status” When you first create your account and log-in, you will see a timer for a discount to go premium. Ahh Ha! you say.. Cuz that’s exactly what I said. Wait, you don’t need to go premium, in fact I encourage people to not worry about the timer or going premium, and just continue with the lessons in the free status. Why? This for me, is the most important question and point of this post! Simple, and its what I really liked about WA, when I first started learning. I could fully learn, and grasp all that there was to know before I decided whether I was interested or not. It took me a couple of months to decide to go for it. That’s correct. I was a free member for a couple of months learning all about it. Yes, there are advantages to going premium, but none of those advantages comes before you are ready. Can I make money without going premium? Yes you can. You have a live website that you can build content on that will rank in Google and get traffic! What do I spend most of my time doing? Writing about whatever topic you choose that you enjoy. How do I make money? Affiliate links you place in what you write. Example: Lets say you are really into panning for gold in small creeks somewhere. You can write all kinds of stuff about the topic and have an occasional link to a product on amazon. (Money comes from a small percentage of any sales from the links). What if I don’t know how to make a website? I knew exactly nothing when I started. Everything you need to learn to get one started is in the free lessons. Have I made money? Yes I have! I have traffic to 3 websites that Google and other search engines send my way, and each month the traffic increases. People click my links and buy stuff and I make money. Like a lot of money? Ill say no, moderate, but it keeps on going even after I started other websites. Its compounding! Its sooo exciting! My recommendation..? Click this link and create your free account. Check out the free lessons. Ask tons of questions! Write lots of content and share it with your friends and watch it grow!! Questions? I hope so. Comment below if Google sent you here. Comment on my Facebook page if you found this there, or create your account and shoot me a question on WA! I want you to be successful.